BanQu, Inc. committed to creating mobile phone-based blockchain economic profiles through its Economic Identity Platform for approximately 1.5 – 2.0 million refugees by the end of 2017. BRCK committed to equipping children, women, and youth in refugee camps with digital access and digitalized resources so as to enhance their literacy skills and empower refugees with relevant content they can access easily. BRCK will also develop a social messaging platform and provide relevant training and support for the refugee community, using Wifi hotspots with easily accessible content. Deloitte committed to expanding access to education, skills development, and opportunity. In collaboration with Oxford University’s Refugee Studies Centre, Deloitte co-developed a research study focused on the economic potential of refugees, and the barriers they face as they seek to live and work in their host countries. Deloitte committed to developing a technology solution called FuturesHub, in collaboration with a global technology company, to help connect refugees with education, employment, and entrepreneurship opportunities. Facebook committed to bringing Wi-Fi connectivity to 35 locations across Greece, in partnership with NetHope and to develop a strategy for bringing internet connectivity to individuals living in refugee camps and surrounding communities, in partnership with UNHCR and local partners. In addition, Facebook committed to leveraging the Facebook social media platform to raise awareness and funds for the refugee crisis and donate advertising credits and creative services support to UNHCR and other refugee-serving organizations. Fifth Tribe committed to building the HELPUGEES App, a web and mobile application that helps refugees by providing them information on commonly asked question and connecting them with volunteers to provide services such as language translation, learning English, transportation, and other tasks. HOMY committed to providing vocational training to both Syrian refugees and Jordanian students as a company that specializes in modular building. The first vocational school will be built in Amman, Jordan, and will train about 200 refugee and local students during its first year. The ultimate goal is to provide capacity-building for the future reconstruction of Syria (and other neighboring countries), as well as facilitate integration among refugees and host communities. HP committed to establishing six HP Learning Studios in Lebanon and Jordan to engage refugee youth in developing skills and help to give refugee students access to the latest education technology while providing adults the opportunity for employment re-skilling. HP also committed to piloting the HP School Cloud, a new technology which brings open education resources to rural and underserved communities, to improve education outcomes for refugees in Uganda. HP and its partners, including Education Cannot Wait, UNHCR and Learning Equality, will start in 3 schools. Based on the success of the pilot, the commitment may expand to 15 schools in Uganda, impacting approximately 5,000 children, and be scaled to other countries. HP committed to expanding the HP Learning Initiative for Entrepreneurs (HP LIFE) with additional free online courses and curated content to help refugees develop essential business and IT skills. In addition, HP is working with partners to increase access to technology and improve learning outcomes in refugee-hosting countries such as Malawi. LinkedIn committed to growing its refugee initiative, Welcoming Talent, to additional countries beyond Sweden. LinkedIn is taking a different strategy in expanding to Canada by integrating LinkedIn training curriculum into economic empowerment and employment programs, in collaboration with the Prime Minister’s office and two local NGOs, and scaling this approach with the IRC to expand in global markets. Lynke committed to opening a second tech center in Jordan by the end of 2017, expanding on its partnership with Microsoft, MasterCard, HP, UNHCR, Coursera, and others to replicate their facilities in a second economic zone. This will double the number of refugee employees building apps or conducting outsourcing work for Lynke’s partners, and double the number of graduates for partners to hire. 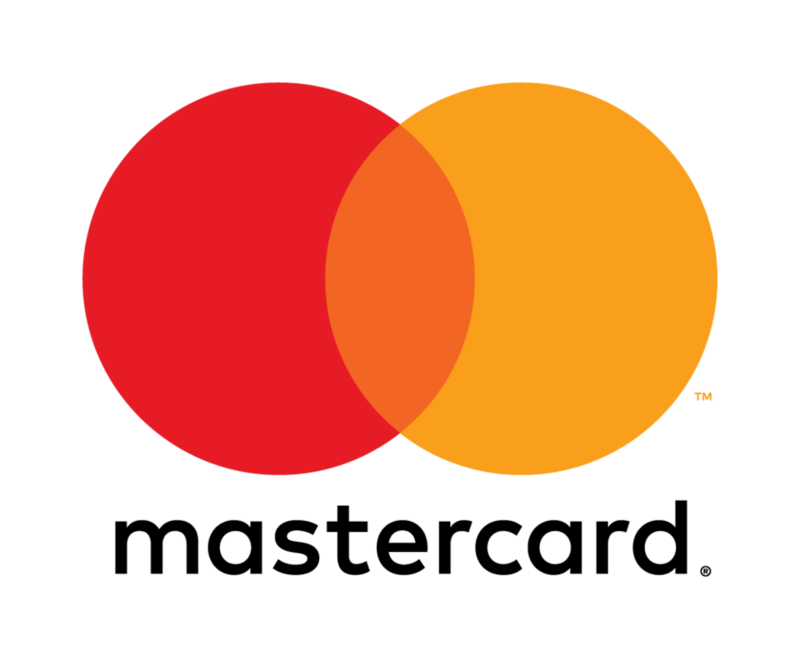 MasterCard committed to expanding the reach of its MasterCard Aid Network, humanitarian prepaid, and remittance services, to 2 million aid recipients; to mobilize and partner with other private and public sector organizations to build “smart communities” that seek to integrate refugee populations; to assist refugee-serving organizations with information safety and security workshops and guidance; and to convene a multisector working session to determine how refugees can more easily access financial services. NeedsList committed to directing financial, supply, and human resources to local NGOs who are providing services and locally sourced supplies to refugees. NeedsList will focus on the United States as well as a number of European countries hosting refugees, including Greece, Italy, France, Germany, and Serbia. NeedsList will scale its current operations to directly engage 50 companies and over 100,000 people to meet the needs of 500,000 refugees by 2020. Not Impossible Labs committed to establishing “maker labs” in refugee camps and settlements. These labs will be focused on innovative thinking and “maker” skill sets, and will provide refugee youth with tools, trainings, and skills-building workshops to develop breakthrough solutions to local needs and challenges. Not Impossible launched the inaugural lab in Q4 of 2016. Nova Credit Inc. committed to building the world’s first cross-border credit reporting agency, enabling immigrants to access their credit. Nova committed to prioritize and develop data partnerships with countries that have a high refugee population in the United States, including Iran, Bhutan, and countries in Sub-Saharan Africa. Many of these nations have limited financial infrastructure and the company pledges to pursue alternative data partnerships to help drive financial inclusion for these populations in need. OnWORD Partner committed to providing sustainable integration solutions for foreign-trained refugee professionals through housing, language assistance, and career and educational support. Palladium works with government agencies, companies, and non-profits to implement programs and research that spur employment, entrepreneurship, life-saving assistance, resilience, and self-reliance amongst refugees and their host communities in Lebanon, Uganda, Mali, and Indonesia. Pearson committed to extending its partnership, Every Child Learning, doubling its initial investment of $2.2 million and working with partners to develop and provide digital educational solutions and programs for Syrian refugees and vulnerable Jordanian children. Over the next three years, Shell committed to empowering displaced people and their host communities through access to more and cleaner energy choices. In close collaboration with partners from the humanitarian and private sector, Shell will develop market-based approaches to address the energy access challenge for refugees, with an initial focus on Sub-Saharan Africa. Shell will work to equip displaced people & host communities, energy enterprises and humanitarian actors with the relevant data, skills and financial mechanisms to build local energy markets. Shell aims to test this scalable and replicable approach with a first pilot by the end of 2019. Signify has provided lighting solutions to community centers, schools and homes that support refugee populations in Bangladesh, Lebanon, and Tanzania – reaching more than 50,000 refugees to date. In addition, Signify has established an income-generating project for refugees in Tanzania, where female refugee entrepreneurs rent out solar lanterns to community members for nominal fees. Signify Foundation committed to contributing to better living conditions for refugees and asylum seekers by enabling improved energy access and livelihood opportunities in Rhino camp in northwestern Uganda. Specifically, over the next two years, Signify Foundation will provide five community lighting centers, areas that are about the size of a small soccer field and are lit by a new generation of highly efficient solar powered LED lighting systems, that will reach at least 5,000 refugees. These centers allow for a solar powered kiosk to be available for supporting a small business relevant to the needs of the community. 30 young refugees will be trained with technical and business skills so they can provide ongoing maintenance and management of the centers. In addition, Signify Foundation will support the Danish Refugee Council with funds to help refugees start small businesses. This is a replication of Signify Foundation’s partnership with the Danish Refugee Council where a similar intervention provided access to energy and livelihoods in Tanzania. Sparrow Mobile committed to expanding its RefugeeMobile program from 250 families (700 individuals) to 1,000 or more families (2,800 individuals) by 2018; to expanding to another geographic region; and to targeting at least 50% women as primary smartphone recipients. Taqanu committed to helping refugees re-establish their identity on an accelerated basis by analyzing digital footprints and phone usage, supplementing this with biometrics, so that refugees can recreate their identities. With identities quickly re-established, Taqanu will enable refugees to access more conventional banking services required to achieve full financial integration in their new homes. Western Union committed to supporting economic opportunities for refugees and displaced persons over three years through a new company-wide global initiative started in 2017. Specifically, Western Union will help expand educational opportunities for refugee children and youth; provide refugees with internships, freelance and traditional employment opportunities at Western Union and with key corporate partners; and leverage Western Union’s core assets – including its financial technology and global network of 35 million members to support refugee crisis response initiatives and shift the global conversation about refugees to one of economic opportunity.